CloneSpy can help you free up hard drive space by detecting and removing duplicate files with exactly the same contents regardless of their name, date, time, or location. Also, CloneSpy is able to find files that are not exactly identical, but have the same file name. This can be an issue for example if you have different versions of a file and you want to find and remove the older versions. CloneSpy is able to find zero-byte files. Note: The installer now allows you to choose between a 32 or 64-bit version of CloneSpy. How to extract: Download the installer and select 'portable version' at installation type. Launch CloneSpy.exe. Files with paths that are too long for CloneSpy to process can now be generally ignored (see Files page of the Options window). A lot of people here trying to delete multiples of the same image - I just wanted to give a shout out to Dup Detector, which is a great piece of software that does exactly that. Dup Detector doesn't just do file-size/checksum analysis, it actually analyzes the images to find similarities. E.g. one could be black & white and the other can be color, or one can be watermarked, or one could be taken 2 seconds later because someone blinked & it'll find both and display them to you and ask which one you want to delete or if you want to keep both. You can choose how strict it is in its matching algorithm - 100% mach, 95% match etc. You can even have it set up to automatically select which one to delete based on rules - e.g. the smaller one. Then you just approve the selection by hitting the space bar, or you can just let it do its thing automatically, or you can go full-manual mode and click the image you want to delete. Super fast way to delete duplicates and easy to use. I've used it professionally to manage large image catalogs that had a lot of duplicates of different sizes. The latest version I have is 3.3.02 from July 8, 2011. You can get an earlier version from rareware. Oh awesome. Well, it's still great software - it does one thing & does it very well. iPhotoDraw is a image editor and screencapture program. The program enables image filters, transformations, addendums, layers and arrangement. Photo filters include brightness/contrast, hues/saturation, inversion, sepia and grascale. Addendums include description text, call-out boxes (ballons), dimensions, stamps (1, 2, 3 ...) and more. The program also includes image slicer, watermarks, a color picker, stamps and batch operations. Images can be sent to Microsoft Office, FTP, or other external programs. How to extract: Download the "Portable version" ZIP package and extract to a folder of your choice. Launch iPhotoDraw.exe. Dia is a diagramming tool loosely patterned after Visio. Features include multiple-page printing, export to many formats (EPS, SVG, CGM and PNG), and the ability to use custom shapes created by the user as simple XML descriptions. 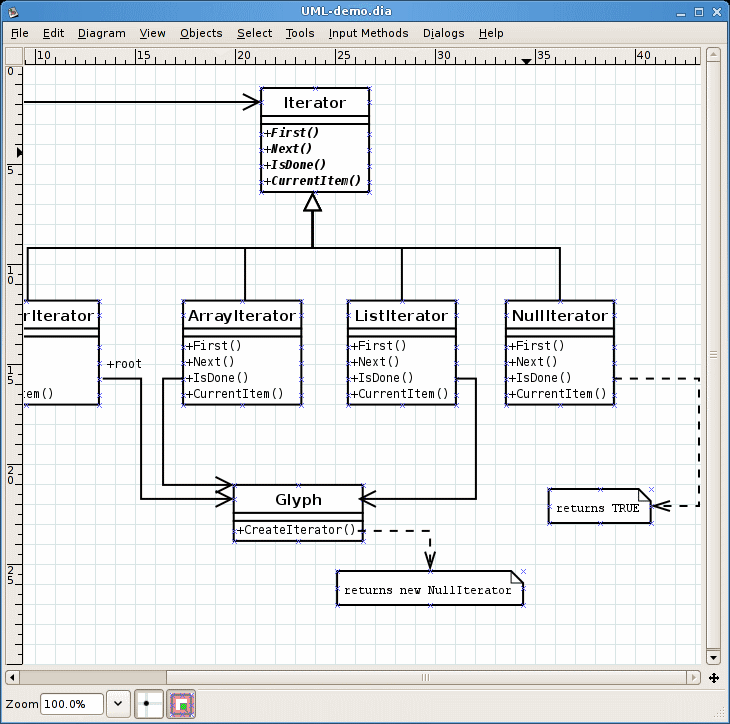 The program is useful for drawing UML diagrams, network maps, and flowcharts. PortableDIA is a portable wrapper for DIA. Alternatively, X-Dia and Dia Portable are also available. How to extract: Download the ZIP package and extract to a folder of your choice. Launch PortableDIA.exe. and over a MILLION downloads in the last year ! NickR: Prefer LibreOffice's Drawing tool, which takes some getting used to but also does a bit more than Dia. It's also in active development. Ant Renamer provides many options for the batch renaming of files and folders. The program includes the ability to change file extension, replace/insert/move strings, change case, even give files random names. The program can even rename based on date and time (great for scanned files) or using exif/mp3 tag info (making metadata the file name), or regular expressions. File renaming can be previewed before execution and changes can be added to a batch file and saved for future use. 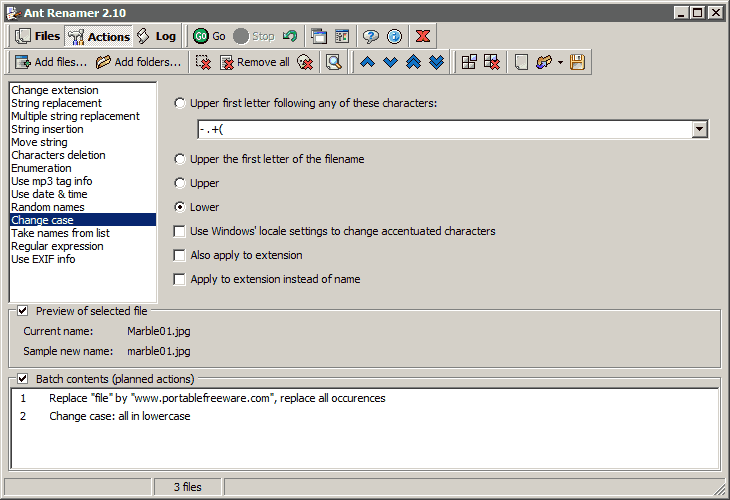 Alternatively, Ant Renamer Portable (PortableApps.com Format, adjust drive letters and paths as you move PCs). How to extract: Download the ZIP package and extract to a folder of your choice. Launch Renamer.exe. Option (disabled by default) to consider the last "." in folder name as extension delimiter. Previous versions were always considering that a folder could have an extension, but that's commonly used. When folders are renamed, the path of files in the list is updated if needed. Previous versions were giving an error as files contained by renamed folders were not found anymore. "Case sensitive" option in the "Multiple string replace" action. · Option (disabled by default) to consider the last "." in folder name as extension delimiter. Previous versions were always considering that a folder could have an extension, but that's commonly used. 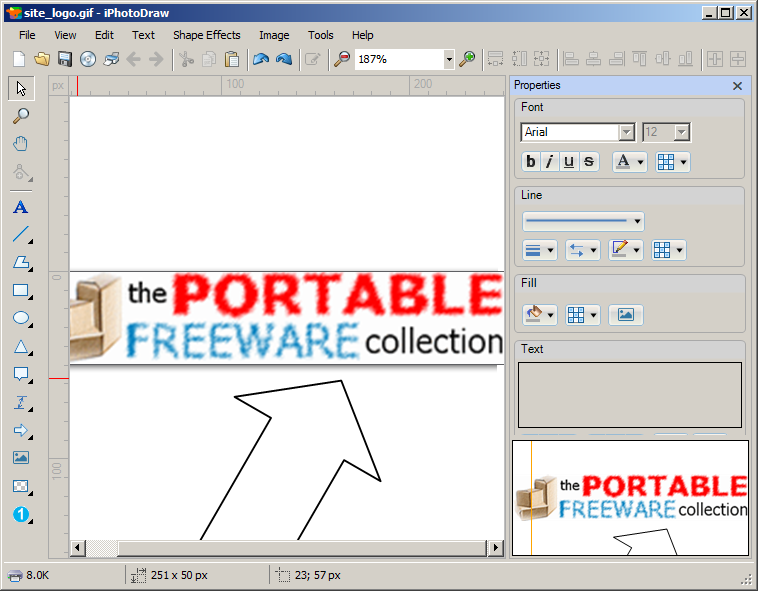 · When folders are renamed, the path of files in the list is updated if needed. Previous versions were giving an error as files contained by renamed folders were not found anymore. · "Case sensitive" option in the "Multiple string replace" action. · A few bugs fixed. There is no way to rename using multiple methods/rules at the same time. You have to use one method at a time. Also, can't preview all the files and can't undo after closing the software. So, I prefer Advanced Renamer. Taskbar Shuffle allows you to rearrange the buttons on the taskbar by using drag-and-drop. You can also rearrange the system tray icons by pressing the CTRL key while dragging and dropping. How to extract: Download the ZIP package and extract to a folder of your choice. Launch taskbarshuffle.exe. Although I am a memory (RAM) conservationist, I prefer Taskbar Shufle to Taskix because its visual effects for dragging buttons and system tray icons is simply easier on the eyes than the sudden and more eye straining transition provided by Taskix.